Officially introduced at the Cannes Yachting Festival earlier this season, the Superfly GT 42 is a result of collaboration between Scandinavian firm Flying Flipper, that built several record-setting boats in the 1990s, and Red Yacht Design according to Yacht Harbour. 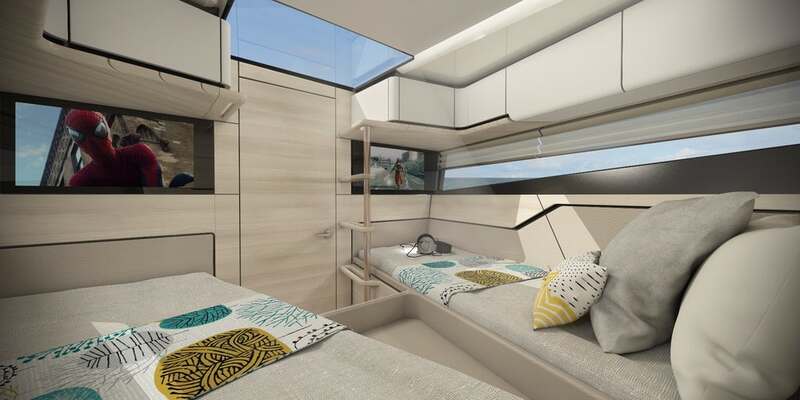 Underneath her sleek, hybrid hull you’d find a luxurious interior, a forward cabin with separate beds, a rear owners cabin and glass at every turn. 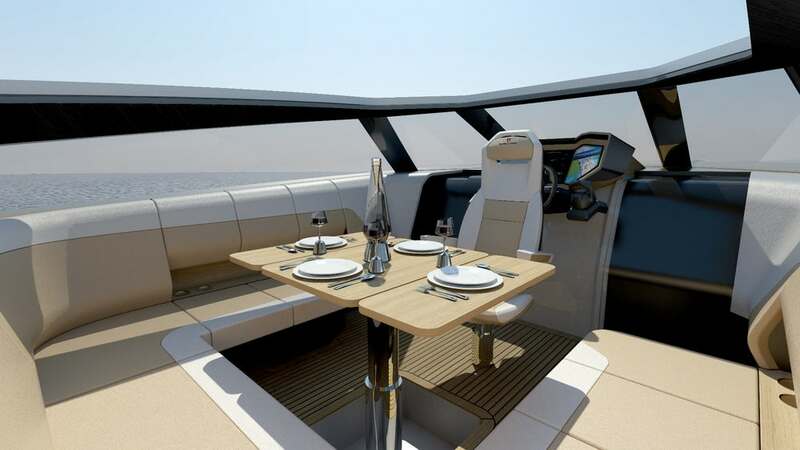 Featuring a fully glass-enclosed cockpit, with tall wraparound windshields all the way aft, and an enormous glass-ceiling panel, Superfly GT 42 is a new take on a day boat that could well find interest in the market. Power comes from your choice of a handful of engine options: outboards, inboards, and a hybrid system, all to be customized to suit its owner. Combining an innovative look by Red Yacht Design with the anticipated top speed — hybrid option produces 1,881 hp and a top speed of 65 knots, the Superfly GT 42 has many things going for it.